Inspired by the format of TLC’s popular ‘Miami Ink‘ series, Minx worked within the exile community in Dharamsala to capture the meaning behind the tattoos of ex-political prisoners, and also the unique story behind a Tibetan tattoo artist in exile. 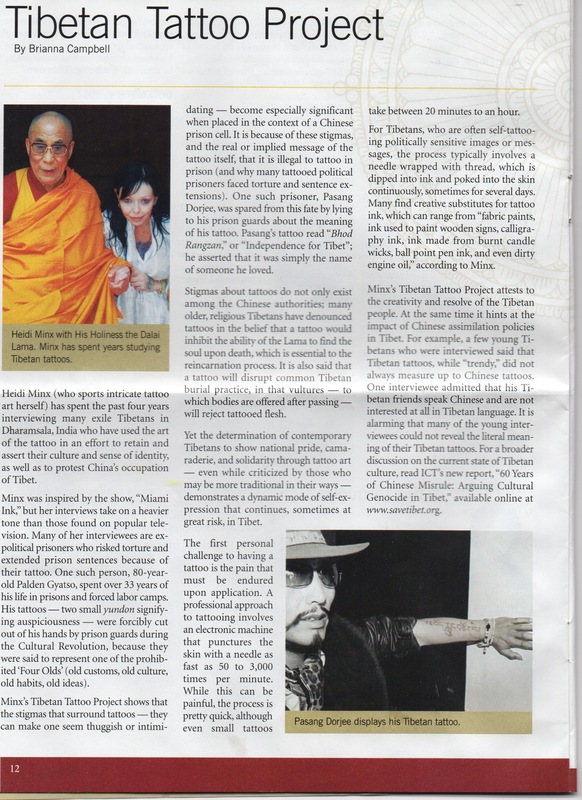 Surprisingly, she found that 80-year old ex-political prisoner Palden Gyatso, has tattoos, and how the jail guards tried to remove them. 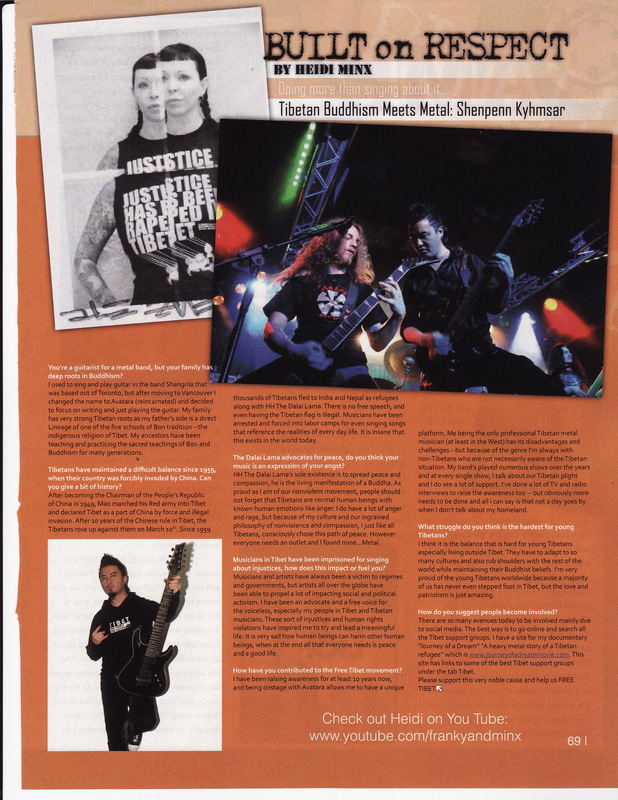 Minx utilizes her working relationship with Inked Magazine to share these stories amongst Western youth. 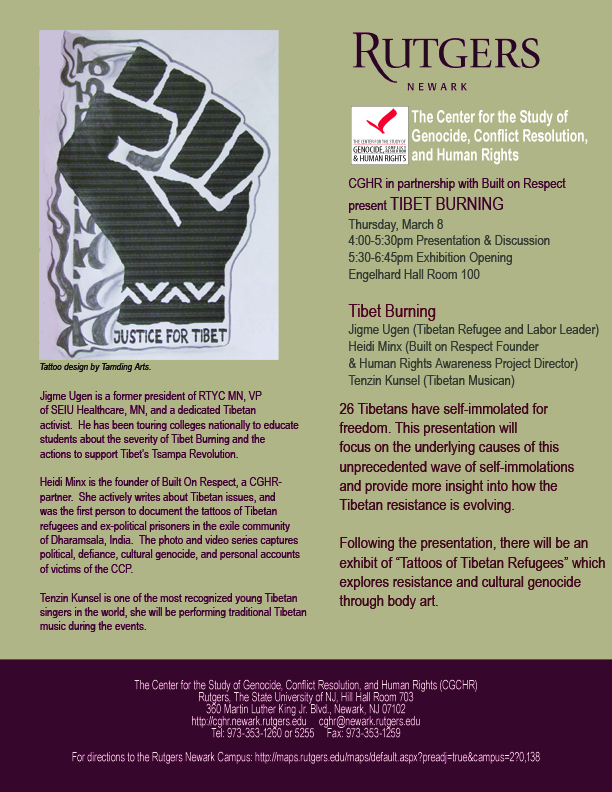 Comments Off on Tattoos of Tibetan Refugees: Tashi O.
Tattoos of Tibetan Refugees: Tashi O. 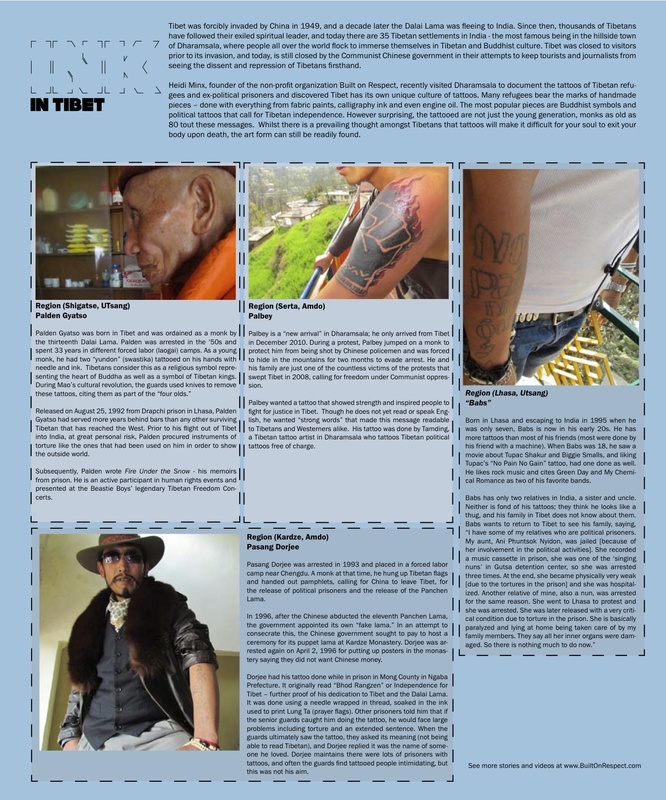 Comments Off on Tattoos of Tibetan Ex-Political Prisoners: Pasang D.
[VIDEO] Lobsang voiced his cry for independence, and was arrested. After his release, he was continuously harassed by the police — so much so he had to close his business, and flee to India. Here, he talks about his tattoo, divided between three friends, in the hopes they can one day stand together. Comments Off on Tattoos of Tibetan Refugees: Jigme A.
Tattoos of Tibetan Refugees: Jigme A. [VIDEO] At 24 years old, Choedon, a Tibetan refugee, tried to peacefully walk with hundreds of others back to Tibet. Here, she talks about her arrests, and her willingness to die for her homeland, which she has never seen. Her tattoos mark this journey.